Rent villas and houses in Podgorje, Croatia. 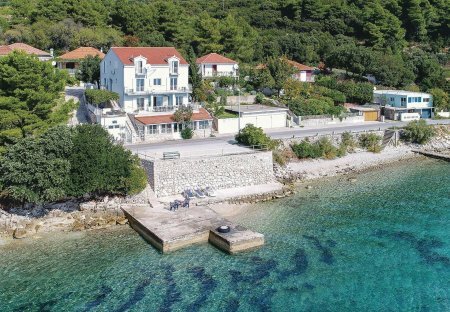 Beautiful sea-front villa with a secluded pier which overlooks the old town on the island of Korcula, which is a 10 minute boat ride away. This comfortable holiday home is situated at the foothill of the St. Ilija hill, in a small village Ruskovici, right above Orebic. On a small hill outside the center of Orebić, in idyllic surrounding of olive trees and vineyards, there is this beautiful house ideal for a family or friends vacation. This 1 bedroom house is located in Podgorje and sleeps 4 people. 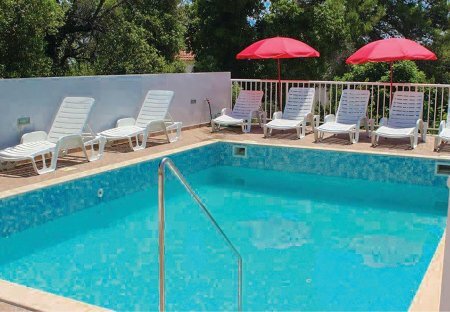 It has WiFi, a garden and barbeque facilities.